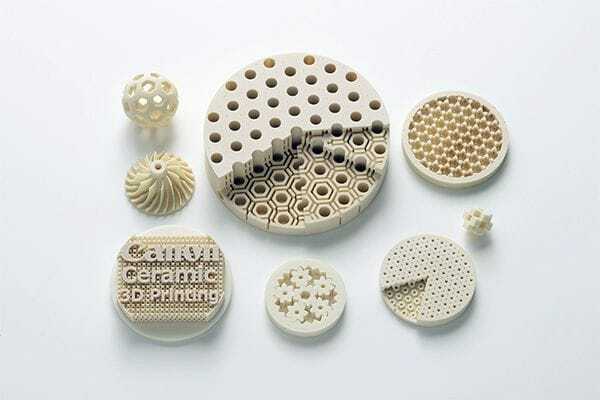 Japanese giant Canon announced new ceramic 3D printer materials. Wait, you didn’t know that Canon produces 3D printers? Indeed they do, and you will find they focus on the industrial market. Even though the company is best known for its consumer goods, Canon produces a large amount of large-scale industrial gear. One of their product lines is 3D printers. Specifically, the Canon equipment uses a stereolithography process, in which a photopolymer is selectively solidified by a laser. This is essentially the SLA process as used in many other 3D printing systems. Stereolithography is one of the 3D printing processes that is relatively easy to scale up to large sizes: you simply increase the size of the reservoir holding the photopolymer and extend the range of the laser by adapting mirror systems. That size alone makes the process suitable for industrial use. So it would appear they have added a new process to their existing SLA-style equipment that is similar to, as they say, SLM. This is most likely a powder-bed / laser system very similar to what is done in SLS systems. 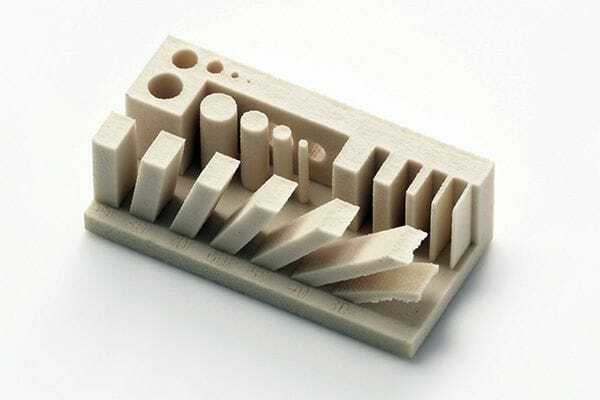 However, there is a post-processing step required, as the ceramic material must undergo an annealing process to finalize the part. In other systems this step does introduce problems because the parts tend to shrink as the binder is removed from the part. This leads to challenges with the parts’ dimensional accuracy. However, Canon explains that in one of their tests a 19mm part was produced with an “accuracy drift” of only 0.8%, or 1.5mm. Further reporting on issues not included in this article can be found here on Fabbaloo.